Nick Hayes & Marian Singer prepare for their first Welintel shipment from Global Water Center office. Installation in a farm field Lafayette County, Wisconsin. They came up with the idea, which was then tested and tweaked by a team of engineers. Their startup, called WelIntel, was nurtured by Milwaukee's Water Council. Their sensor resembles a sleek blender. Crews install it on the cap of a well. It sends a digital signal into the well to capture changes in energy. It might signal a leak or low water level. Nick Hayes says the information is relayed to the owner’s computer or smartphone. “The system that we designed is a little reading taker that communicates through a gateway that sits in anyone’s home near their internet connection,” he says. Well owners can view graphs and charts and receive alerts when the system senses problems. “They see what’s happening to the water table under their land, how often they pump, they see what happens when they pump and if it makes a difference in what’s happening with ground water, they see the impacts of pumping nearby,” Hayes says. That’s where the team’s bigger vision emerges. 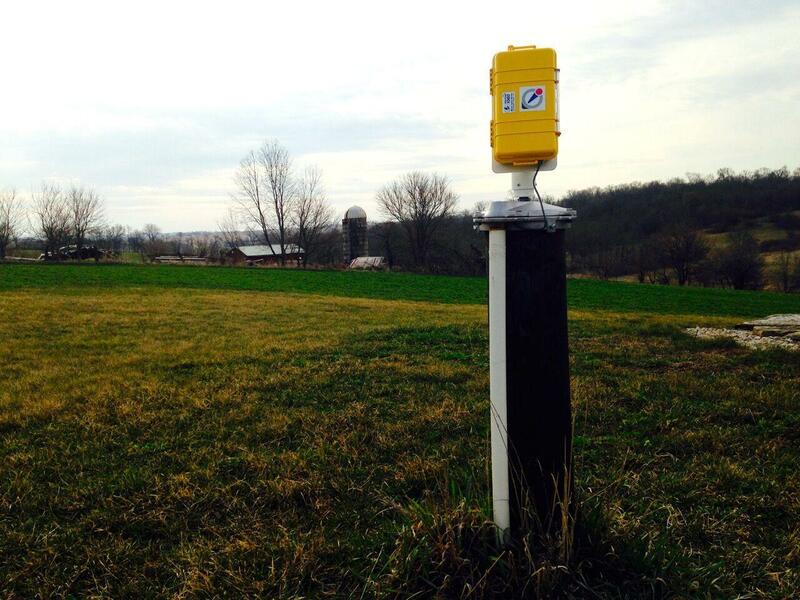 The WelIntel creators are confident that its technology can paint an accurate picture of groundwater on a wide scale. Inspiration struck four years ago, when Hayes and Singer – at the time, a marketing research consulting team - led clients on a tour of groundwater hotspots in the U.S. and abroad - places that pump extensively. Singer says it was in the Netherlands that they discovered the country had invested in mapping every inch of its groundwater system. “They got a record of what soils you hit where, when you hit water, what temperature that water is and what direction it’s flowing,” Singer says. Spurred on by what they learned in the Netherlands, the duo decided to take the leap. “There’s something a country is doing for an entire nation but not in an automated way, and we thought this is something every country needs and it should be automated,” Singer says. After rounds of prototyping, the two launched a pilot in California's central coast region. “It’s in the bulls eye of the drought in an arid area that has had a precipitous decline in the water table in the basin that agriculture depends on there, in addition to high population growth over the last 20 years,” he explains. 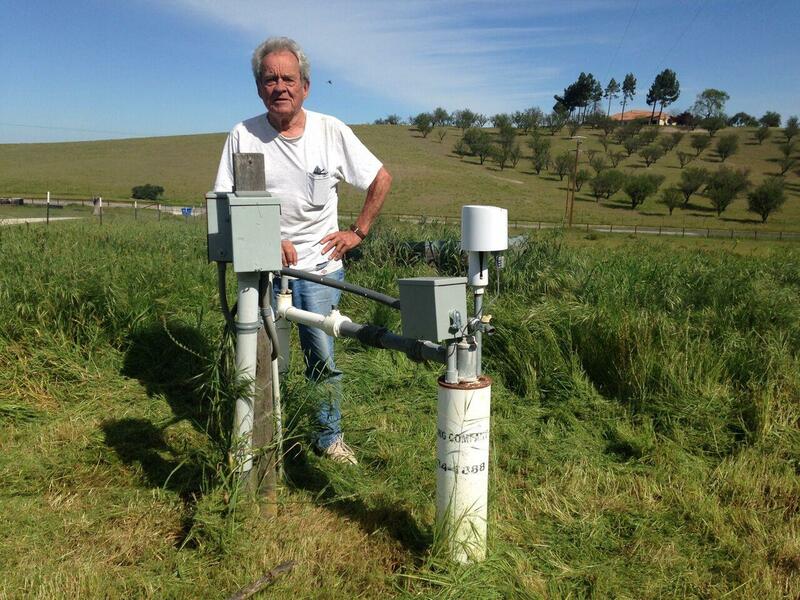 Templeton California alpaca rancher Nat Sherrill participated in the WelIntel pilot. The team witnessed the drought’s human dimension. “Some are homeowners, some raise livestock, some need to pump reservoirs to drip-irrigate their grapes. And they are not always in agreement about who has rights to what,” Hayes says. He says gradually, they saw neighbors beginning to recognize the need to collaborate. He hopes the facts their product reveals lead to new solutions. “If you democratize information about a resource, then you can make some decisions about it as a community that allow the community to act sustainability,” he says. Hayes’ theory is about to be tested. More than 70 percent of WelIntel’s first batch of orders are heading to California.